Chettinad Mutton Pepper Fry is a tasty as well as authentic signature dish of Tamilnadu. Thick spicy gravy requiring very few ingredients is the specialty of the dish. The king of spices, it’s pepper that boosts up the flavor of Chettinadu Mutton Pepper Fry. Chettinad Mutton Pepper Fry pairs well with a series of rice dishes. Mutton pieces are marinated in a spicy tomato mixture. 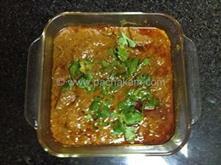 The marinated mutton is cooked in a hot kadai with seasonings until done. 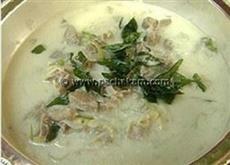 The cooked flavor loaded spicy gravy is garnished with crushed pepper and coriander leaves before serving. Here is a mutton recipe prepared in chettinad style, well detailed in a meaningful way. 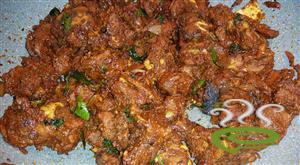 Enjoy Chettinad Mutton Pepper Fry. Mutton Curry is a spicy , flavoured side dish which has its own aroma and taste. The pieces of mutton are cooked with spices and it will be a treat for festive occasons like Ramadan. Mutton Pepper Fry prepared in kerala style is a spicy mouth-watering dish that goes well with porotta, naan, roti and almost all rice dishes. Roasted mutton chunks in thick, oil oozing, pepper rich gravy is the speciality of Mutton Pepper Fry. The flavour loaded dish is simply amazing. Bite sized mutton pieces are cooked in a chilly garlic mixture until mutton pieces are soft and succulent. The cooked mutton is roasted in a hot kadai with pepper and other spicy seasonings. The curry leaves sprinkled on top adds yet more elegance. Here is a recipe that tastes rich and heavenly. Enjoy the dish. 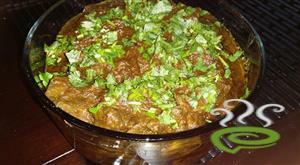 Attirachi Curry - Mutton masala cooked in Kerala Style. In this recipe only fresh ingredients are used. Attirachi Curry is prepared with fresh spices, grated coconut and coconut pieces. This is a must try recipe. Enjoy the Attirachi Curry hot with rice. 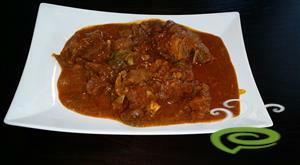 Mutton Curry Kerala Style is a yummy, spicy and very tempting preparation of mutton pieces. Mutton Curry Kerala Style is an easy preparation that can be cooked in a jiffy when unexpected guests arrive without prior notice. The dish is unique and special with mutton pieces cooked in a spicy aromatic and flavorful masala mixture till done. 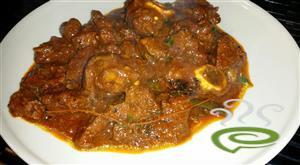 Mutton is nutritious and protein rich with vital nutrients required for body. Mutton Curry Kerala Style goes perfect with porotta, chappathy, almost with anything. 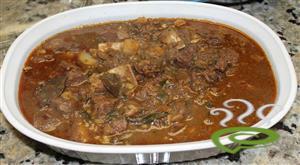 You can explore a well detailed Mutton Curry Kerala Style here that can be easily prepared at home. Kerala Mutton Curry prepared in traditional style is a special aromatic dish that goes well with almost anything. Mutton pieces are cooked in a blended mixture of roasted red chillies and other ingredients. Kerala Mutton curry cooked in Nadan style is a very popular non-vegetarian side dish in Kerala cuisine. Mutton curry as the name implies, is prepared with meat chunks cooked in a fried red chilly spicy blend. Sauteing the cooked mutton pieces in sufficient oil along with ginger, garlic and other spicy condiments tenderizes the meat granting it the unique flavor and taste. Kerala mutton curry is a favorite with Malayalees that goes well with porotta, chappathi, naan and even rice. Tender mutton is pinkish in color with a soft texture and this is recommended for preparing nadan mutton curry. Goat meat is relatively low in fat and cholesterol compared to beef, and pork.